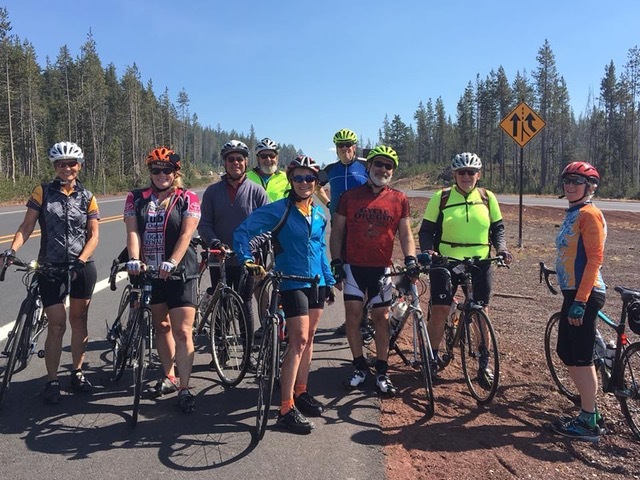 Join in for some end of summer adventure on these club rides in Central Oregon. You trained hard, you’re ready for anything, so venture across the Cascades and explore some new terrain. Late summer in the high desert in Central Oregon is invariably ideal for cycling. Crisp mornings lead to warm dry days, the mountain air smells like manzanita, traffic is light, and the scenery is breathtaking. These rides are free and a great chance to explore Central Oregon. Mark your calendar! You find your own lodging and just meet us at the start location. Ride leader Ann Morrow, 360.608.3173 or anniedmor@gmail.com.